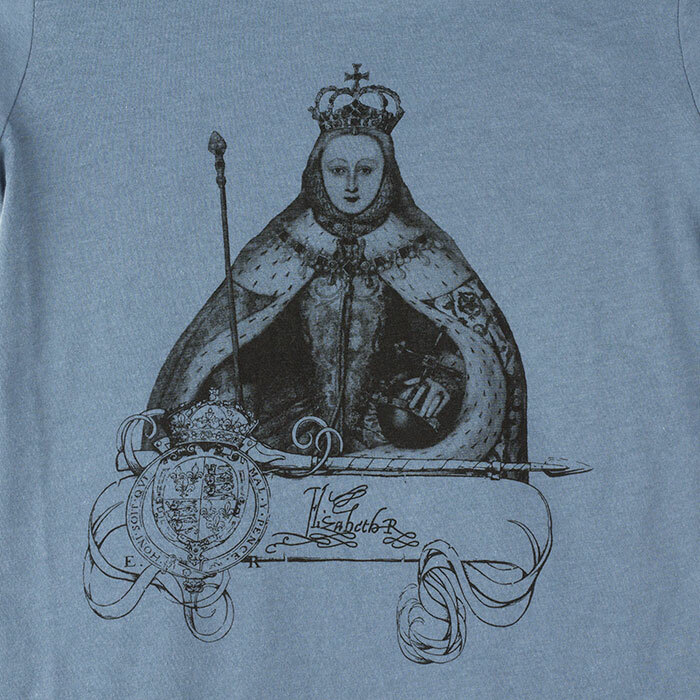 This T-shirt features a design of mine based on a late 1800's illustration of Manuel Manilla. The illustration suggests a Calavera couple enjoying some tequila. The quote "Salud, Amor y Pesetas y Tiempo Para Disfrutarlos" is a traditional Spanish toast meaning "Health, love, and money and the time to enjoy them". Design is printed on 100% Organic Cotton T-Shirt. Low impact fabric-dyed and garment washed for superior softness. 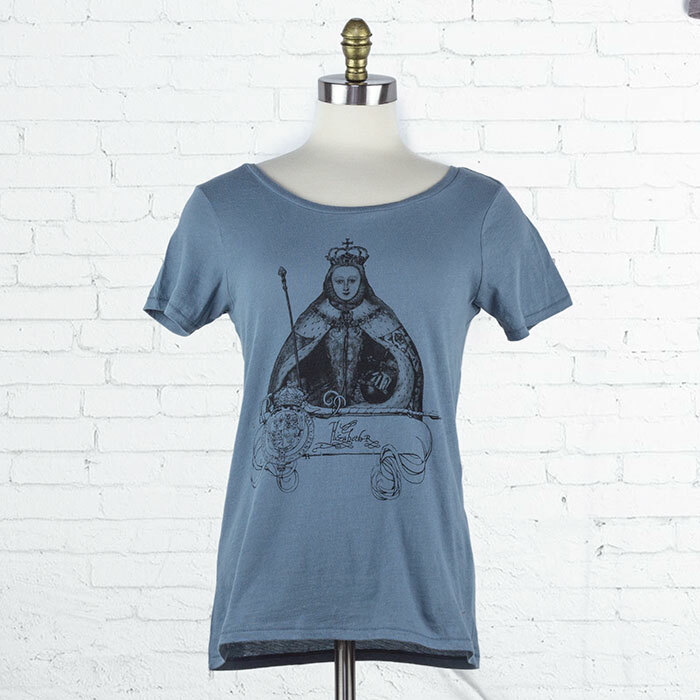 Flattering neckline and amazingly soft, lightweight, 100% Organic Cotton is cut like a dream. So soft and comfortable you would swear it was a second skin. Carefully tailored lightweight T-Shirt offers a more feminine look that feels great wash after wash. 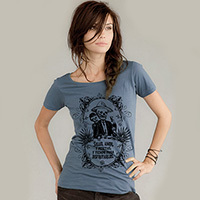 Alternative t-shirts run a bit small with a more feminine slimmer fit. Purchase a size larger than usual if you prefer a more relaxed fit. That said there is nice stretch in the fabric that most t-shirts do not have. Model is wearing a size small.